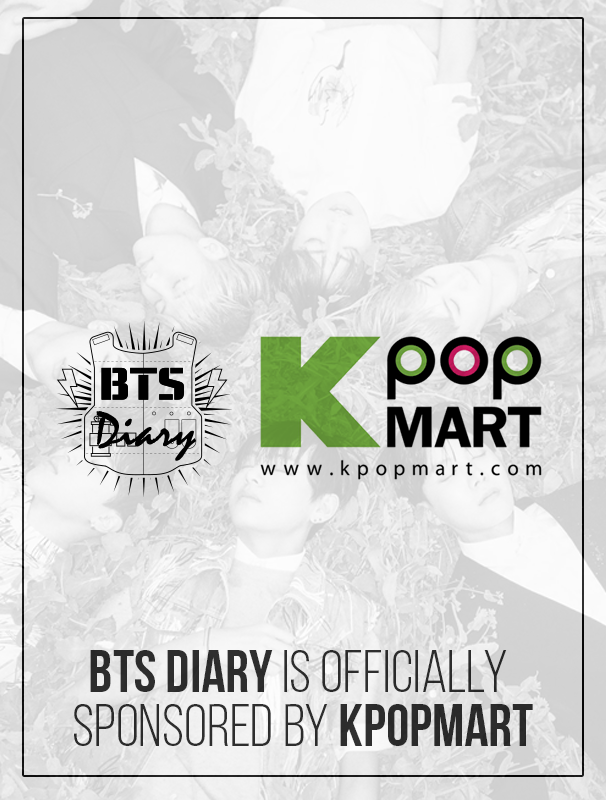 While accompanying South Korean president Moon Jae In on a three-day state visit to the United Arab Emirates, first lady Kim Jung Sook presented students in Abu Dhabi with a special gift of signed BTS albums. 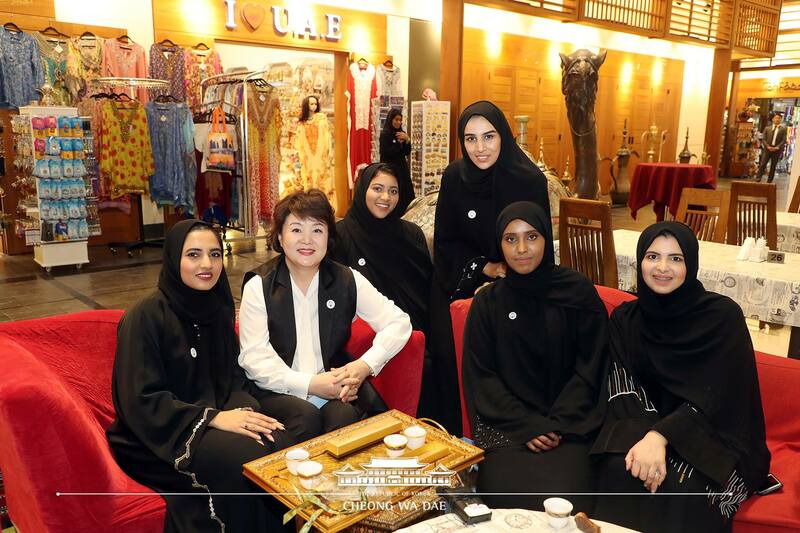 On March 25, Kim Jung Sook met with students from the King Sejong Institute Foundation, a Korean cultural center in Abu Dhabi that offers Korean language classes. 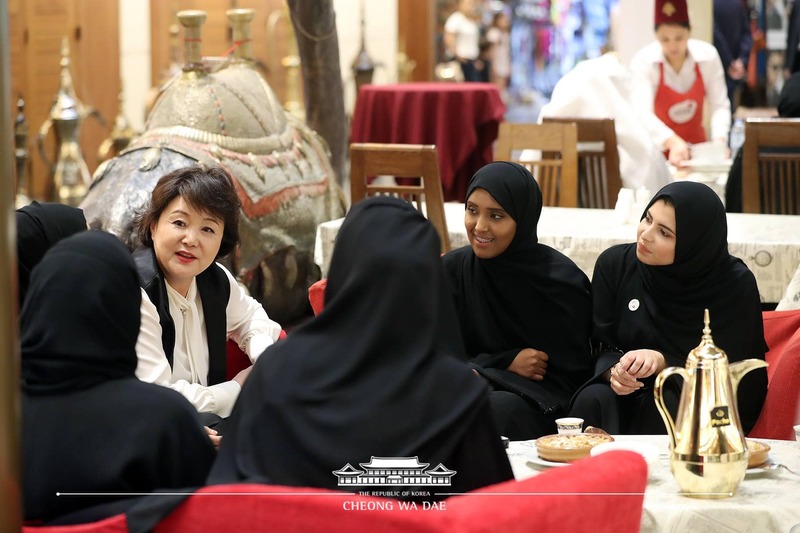 The first lady and the students visited a souk (a traditional Arab marketplace) and enjoyed a cup of tea together while conversing in Korean. Impressed by their language skills, Kim Jung Sook asked the students, who were mostly at the intermediate level, “How are you so good at Korean?” The students shared that they had begun studying the language after developing an interest in Korean culture, including Korean food and K-pop. Before saying their goodbyes, the first lady presented the students with her gift of autographed BTS albums, which led to a discussion of the students’ favorite K-pop artists. The students thanked Kim Jung Sook for the gift, and they all promised to meet again in Korea one day.